1. Last night after cleaning the kitchen, Bethany and I sat in the living room and listened to Jason Isbell records and the songs of the Cicadas outside. The fireflies swirled outside the window. Dusk settled. Sometimes we sang along and once or twice the silence of the needle between those hometown songs made the moment even more so of what it already had been. I want 1000 evenings like this. 2. My fantasy team appears to be on strike. 3. 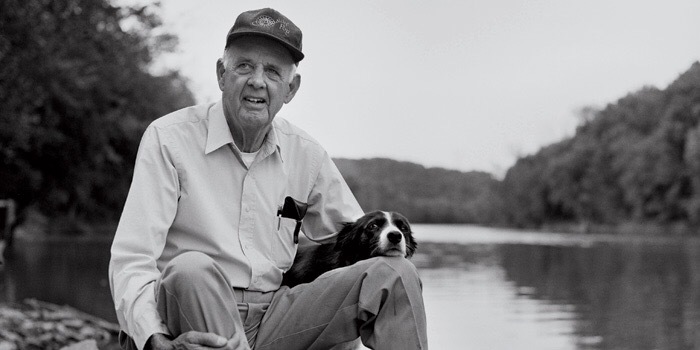 I started a new Wendell Berry book last night. Every page a wonder. No one writes like him. 4. Once again, someone has asked why I’m buying music on vinyl. I do it because it’s more expensive and because they are not portable. The price and the inconvenience means I have to stop and listen to an album for awhile. It’s an investment. And it forces me to sit and listen actively. It’s not just entertainment or background music. 5. On my Facebook feed the other day, I saw someone mocking the idea of a completely sovereign God and the doctrine of Predestination because they said it didn’t make sense. I guess that’s unlike the Trinity and Jesus being fully human and fully man. 6. One effect of the diet I’m on is I’m able to stay up and read each night. Previously, two pages in and I was done. Now I’m reading multiple chapters. Plus I’m sleeping through the night. It’s been years since I’ve done that. 7. Hate war. Love those left behind in its terrible Father and son stealing wake. 8. I hope I grow into an old man longing for young people to hear the comfort of the gospel. I don’t want to be a man of frowns and disgust. 9. Can I point out something awkward? Bathing suits. 10. Me: The thing about this diet is that I’m always hungry. Friend: That’s no different than before. 1. For the past 8 weeks I’ve been teaching a Sunday School class of 60 plus young parents. Because it’s Memorial Day weekend, we are not meeting and it feels like I’m missing out on something significant. Something I need down deep. 2. If you step back for a time and observe, you will see how our TV and movie entertainment depends on violence and increasingly the circumstances are darker and more gruesome. Why? Could it be we are so desensitized to the point where we now crave it? Have we lost the taste for beauty? Is anyone pushing against it? 3. 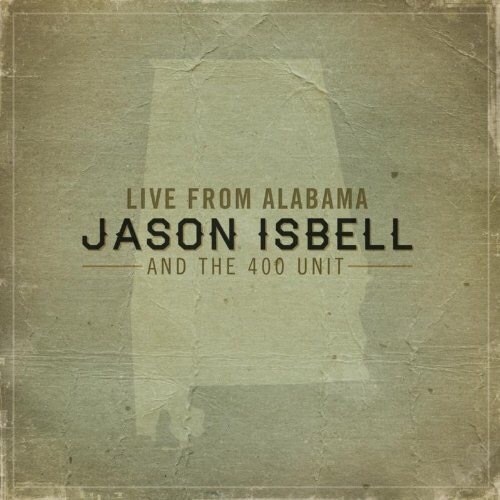 My great problem with music is everyone suffers from comparison to Jason Isbell. 4. The NT writers never really saw themselves up against the governments of their day. You only hear desperation to fight sin, knowing the unseen powers were the issue. 5. I haven’t had bread or cheese or pasta in more than 6 days and I don’t even know me anymore. 6. It is more common in evangelical circles to hear directives about missionary work than about loving your enemy. 7. I miss the joy of summer vacation. 8. As much as I enjoyed the new Radiohead album, it didn’t sound like anything I was familiar with. Here’s what I mean. Right after hearing one of those songs on the radio, the local DJ talked about Jason Isbell. And immediately I was in a place. Home. There was red dirt underneath me. Humid air around me and lightnin’ bugs in my yard. Radiohead sounds like nothing I know. Guys like Isbell sound like home. 9. I’ve been thinking about Paul’s statement in Romans 8 that we are “more than conquerors.” Maybe I’m the only who naturally is tempted to think of the “we” as “super conquerors.” And that’s kind of true I guess. But Paul was writing in a time of actual Conquerors. Men actually conquered in those days. So I got to thinking about this. He’s not saying we are better conquerors but we are something much more. Because even though we can killed and defeated in the way the world measures those things, in all reality our King has made it so those things actually establish the Kingdom of Christ. No surprise, we see this clearly on the cross. 10. The other day, Bethany and I sat out in the front yard and the sunlight hit her hair and the hidden redness showed up and it was the kind of sight poets have been writing down time out of mind. 1. One of the hardest things is remembering other people need grace and mercy in the midst of our need for grace and mercy. We typically want justice for them. 2. My wife and I are slowly reading through the NT this year and she made a great point. She pointed out that every one of Paul’s letters seems to be him correcting that particular church’s understanding the gospel. Sounds obvious but we veer into so many other things. 3. I am so glad I don’t have to do any of my kids’ homework for more than two months. 4. 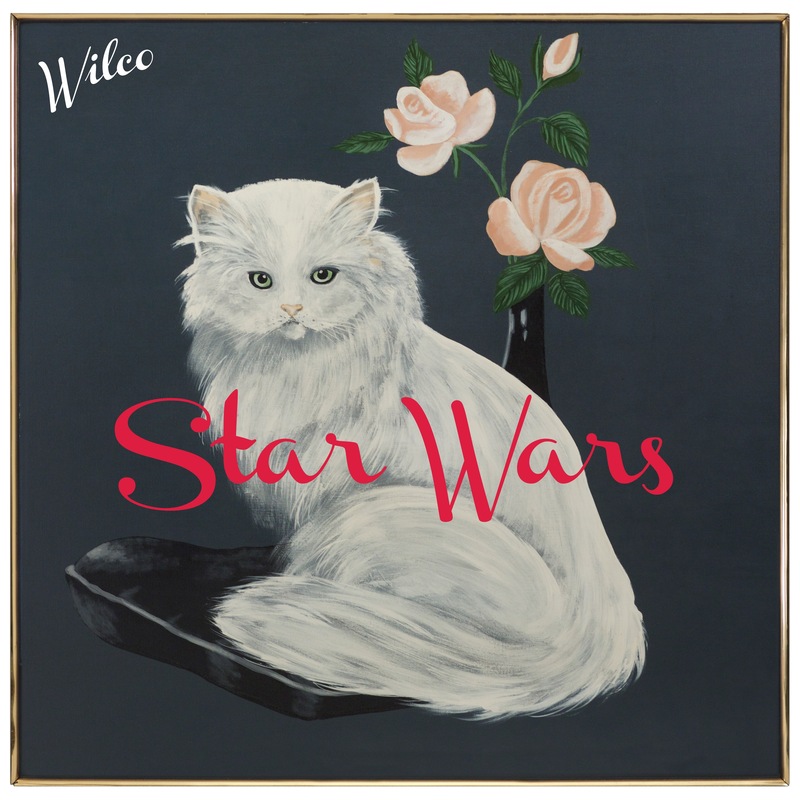 No one at work knows who Wilco is. 5. That day you realize your lawn needs professional treatment and you’re an adult and there is nothing to stop this train. 6. We now live in a world where if you think abortion should be illegal, you are a misogynist. Not because of any philosophical relation between that belief and the word. No, simply an anecdote will suffice. Which is weird, because I now know many women are now misogynists because they think abortion should be illegal. I guess you could argue they’ve been brainwashed and are not able to think for themselves. But that would be contemptuous towards those women. Which is really just being misogynistic. 7. You know those old Irish ballads sung by men who in Anerica longing for their love back on the green isle? I’m on day 5 of The Whole 30 and that’s how I feel about cheese. 8. Unspoken prayer request for my fantasy baseball team. 9. The other day I was with my close friends and Wilco came up. Actually we were talking about the glory days of Uncle Tupelo. I agreed that Son Volt had a better trajectory. But then I realized I listen to Wilco more than any of them. And then I realized it’s because they sound like Dylan, The Beatles, and Radiohead had a kid named Wilco. 10. Why would you be surprised that any politician would abandon principles in support of another politician? One of the things I noticed not long after I left vocational ministry was how tired everyone was. Not just physically tired but exhausted by the social and psychological hamster wheels of modern American culture. The demands of so many voices about everything from marriage and parenting and vocation and even what you eat were marking the hearts and faces of my friends and those I heard from because my writing. I heard from so many mothers about how exhausted they were from being a mother and how they felt like they were not doing enough for their church or the world. They were tired. They were really tired. They felt guilty. And there were days when the only hope they could muster came in the form of a glass of wine at the end of the day or medication. The gospel of grace had been silenced by the noises of social media, the news and their own fears. Expectations were not realized and motherhood looked like nothing they had pinned on Pinterest for 9 months. Obviously I am not a mother. And in this world of gender confusion and the leveling out of the differences between men and women, it seems appropriate for me to point that out. I am not a mother. So while this put me at a distinct disadvantage while reading Engaging Motherhood, I knew I had heard of enough to recognize the power of this book. First disclosure: I need to point out the first author listed is one my closest friends. So while you may be tempted to think I am doing this as a favor, know that is not the case. Actually, that is why I never do book reviews. I do not want anyone to think I am exchanging review favors – I write a “review” for them and they write a review for me. This is not the case. 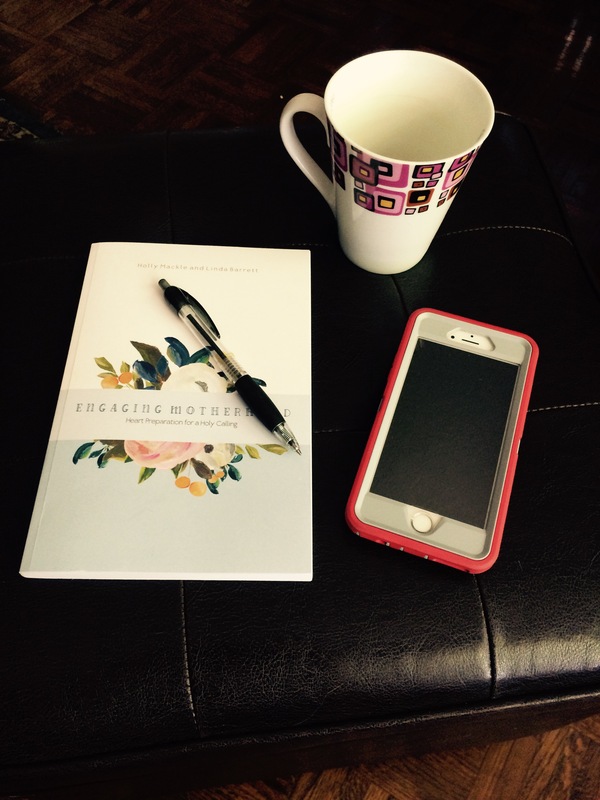 I chose to read and write a review of Engaging Motherhood because I know Holly Mackle. I know her desire for this book is for them to believe the gospel of grace in the trying times of Motherhood, and I know the church culture in which she and the other authors wrote this book. Actually a review is terrible idea. This book is meant to be used by Mothers in community to help one another, as they gather around the Scriptures to believe the gospel of grace when being a mother is hard. For some this is everyday. So this is not a review so much as a commendation. From where I sit the need is so obvious. The great beauty of this book is how the authors focus on the grit and grime of everyday life as a mother. Motherhood can be so celebrated, and it should be. But also, it can feel like a daily grind which you never clock out of. And it touches on every part of your life. Your friendships. Your marriage. Your hopes and dreams. Your feelings failure and true real, sinful failures. And what I found so compelling about this book is each day of study applied the gospel to the struggles of motherhood in a way that was consistent and refreshing when a new facet of what God had accomplished in Jesus on our behalf needed to be seen. Engaging Motherhood is an 8 week study with the hope “you will be calmed and steadied by the experiences of some women who have gone down this road before you.” There are questions with plenty of space to write answers. And here is the thing about those questions – and I am not sure this as intentional or just came out of the hearts of women who wanted to encourage other women – the questions are actually encouraging themselves. We have all gone through a study and the the questions beat you down. Were they helpful in seeing things about yourself, you had never seen? Sure. But I read through the questions each day, I saw something. They consistently guided the reader to look at the good news of what God has done for them in Jesus and respond according to that, and not just their own sins and failures. This is so rare. Second disclosure: Holly called me one night and asked if they could use my Mother’s Day sermon in the book. I didn’t hesitate. So there is an essay by me in Engaging Motherhood, but I gladly do not financially benefit. 1. It’s been a long time since I’ve been unable to stop listening to an album. 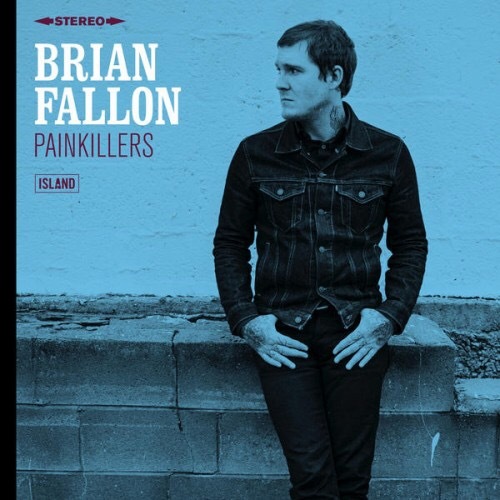 But Brian Fallon’s debut solo album, Painkillers, is playing nonstop on my phone at work, in my car, and soon on my turntable. 2. What is happening in politics today is not happening in a vacuum. This is the downstream effect of a culture that values Beyoncé over Dickinson. A “Dumb and Dumber” culture that eschews any deep thought in deference to brainless entertainment. 3. I’ve been reading the new book on Ty Cobb and it’s really wonderful. But it’s also sad because he was nothing like how he was portrayed by Ken Burns. He was not a bigot. His favorite book? Les Miserables. 4. I have very little worry about my son’s desire to have a girlfriend. Mainly because he is always wearing a Pokemon shirt and carrying around Ninjago books. 5. If the government does become the active enemy of the church, those who hold basic theologically conservative positions will be seen as rebels to the state. Many who call themselves a Christian and use the language of the church will fall away. Others will become our accusers. 6. I’m teaching a Sunday School of about 50 plus young parents and it dawned on me that most of them could have been my students when I was doing youth ministry. 7. There are few things I love more than driving with the windows down in early summer. 8. If number 5 above does happen, the NT is clear, we are called to believe the good news is true and love our enemy. 9. I’m normally an early riser but I feel like I could sleep for days. 1. 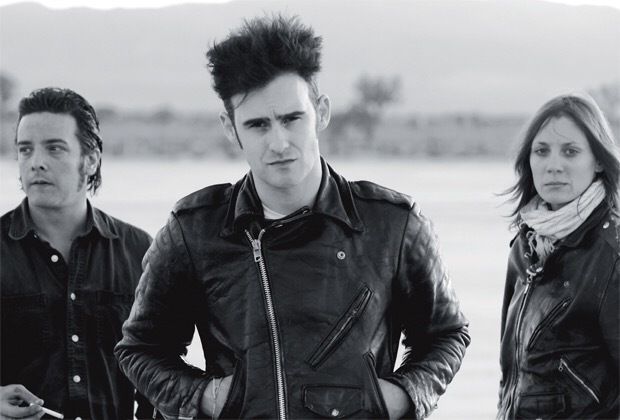 Did I mention that in 5 months and 24 days, I’ll see Black Rebel Motorcycle Club in concert? It will be more than 3 years since we were together. 2. One of the things that convinces me of the Bible’s truthfulness is my inability to grasp parts of it. Often it doesn’t sit well with my opinions. And sometimes I just don’t get it. This would have to be the case if it were God’s word. 3. There are two things Christians are getting wrong in politics. And they’ve been doing this for a long time. They are consumed with fear. And they cannot seem to talk about the people involved with love. 4. I cannot remember the last time I had pizza. It’s like we’ve grown apart. 5. I’m still thinking about that video with Bono and and Eugene Peterson talking about the Psalms. And I still agree without reservation. While there is some Christian music we can call honest, not a lot of it is. Which was Bono’s point. U2 is a stadium band. The kind of band with big sounds fitting well with what they sing about. Most of the names people are throwing around as a rebuttal to Bono’s statements are singer-songwriter types. All the bands with big sounds have traded in great songs for plastic anthems with knock off U2 or Coldplay riffs, in a bid to cash in on the worship music movement. I think Bono is right, without reservation. 7. As much as I enjoyed my son’s baseball season, it’s been nice to come home from work and go nowhere and eat together as a family. 8. I don’t mind working in the yard this time of year. But in August, when the humidity makes the air soupy, I’ll once again want to punch Adam in the throat before he eats that fruit. 9. I check my wife out when she walks across the kitchen. 10. Back to the conversation between Bono and Peterson on the Psalms and Christian. Back on October 12th, 2013, my best friend, Sean and I accidentally saw Black Rebel Motorcycle Club in concert at a small festival here in Birmingham. We were both blown away. Changed. I remember walking away and thinking, “That sounds like all I’ve been feeling and dealing with.” The death of my dad. Financial hardship. Misery at work. All that but still knowing there is something bigger than myself. It was a powerful thing and dare I say, life-changing? Before I got home from the show I wrote, “it was like every raw nerve being plucked by the holy God who flung it all into being.” I still stand by that. I don’t know any Christian music that sounds like that. You’ve heard me talk about the Supper Club, right? This is the two couples Bethany and I eat with at least once a month. We have a group text that has been going on for at least four years. We spend a lot of time together but never really enough. Anyway, one of our members, Holly Mackle, told us that her and some ladies from our church were shopping around a book/study on Motherhood. We all got excited. And then it happened and they got a publishing deal with our denomination. You can buy it here. And then about six months ago, Holly called me and asked if they could use my Mother’s Day sermon in the book. In all honesty, I was as excited as if I had gotten the publishing deal! Anyway, I told her they could have it for free and have their way with it. And wouldn’t you know? They improved it. Next week I will post a review of the book but for now, on this Saturday before Mother’s Day, I wanted to give you a new and much improved version of No Condemnation: A Mother’s Day Sermon. As an associate pastor at a small church, one day I had a flash of fear. You see, I thought I was scheduled to preach on the quickly approaching Mother’s Day. My blood ran cold as I was overcome with the peculiar fear of what to say and how to say it. Wonder of wonders, it was an error. I realized I did not have to preach on that day. But the sermon was already forming, and here it is. Usually one of three types of sermons is preached on Mother’s Day. The first one is a celebration of mothers. You know the one: “Mothers are awesome! God loves mothers! Look at Mary!” The second tells mothers how to be better mothers. “Be like Mary or Hannah or…<insert biblical heroine here>.” Basically: “Happy Mother’s Day…now here is how to succeed at mothering.” The third sermon we sometimes hear is one that has nothing to do with mothers. To be honest, this is the one I usually prefer. Honor the mothers…wait – all the women in the congregation and then preach on whatever you would have preached on if it were not Mother’s Day. Romans 8:1 says, “There is therefore now no condemnation for those who are in Christ Jesus.” Mothers, if you are in Christ Jesus, you do not have to fear condemnation. You stand in the righteousness of Christ and are loved by God as his daughter because of Christ’s work on your behalf on the cross. You are not condemned by your messy home. You are not condemned by your lack of desire to homeschool. You are not condemned by your personal sins. You are not condemned by the difficulty of caring for a child with special needs. You are not condemned by the knowledge of how easy it is for you to love one child more than another. You are not condemned by your miscarriage(s). You are not condemned by your lack of desire to have more kids. You are not condemned because you have no desire to adopt. You are not condemned – even though you feel it – when you read of another’s perfect parenting moment on Facebook. You are not condemned by your inability to cook. You are not condemned because you are divorced or unmarried and doing it alone. You are not condemned by your desire to be alone, away from the kids, for a time, every. single. day. You are not condemned by your body, which is not what it once was. You are not condemned by your repeated failures as a mother. You are not condemned by your rebellious children. You are not condemned by the frustration of having to scrape mac and cheese off the kitchen floor. Again. You are not condemned by all the fears and tears which flirt with insanity and take you to the precipice of despair. You are not condemned by not being able to throw the birthday party of the year for your kids. You are not condemned for not feeding your kids homemade meals whose ingredients were recently purchased at Whole Foods. You are not condemned by your need for a vacation. Without kids. You are not condemned because you cannot take your kids on exciting vacations. You are not condemned for not living up to the standards of your mother or mother-in-law. You are not condemned by the stares of those who don’t have kids when yours erupt into volcanic screams in public places. Mothers, even though you may feel condemned, if you are in Christ, you are not condemned. This is the real reality. If you are in Christ, your identity as a sinner before a holy God is replaced with the righteousness of Christ alone. So go forward in freedom, with the unending affection and acceptance of being a daughter perfectly adored with an unwavering love that flows from your Father in Heaven.